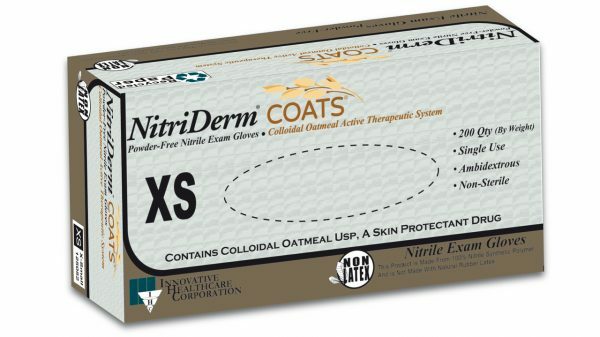 Characteristics: COATS™ barrier technology is a totally powder free, all-natural physical barrier between the glove surface and the wearer’s skin, utilizing the anti-irritant and anti-inflammatory properties of colloidal oatmeal. In our COATS™ gloves, the colloidal oatmeal barrier not only shields the skin surface, it also creates a moisturizing and pH balancing environment that helps dry, damaged skin to repair itself. And healthy skin is the body’s best defense against infection. What a naturally great idea!